These little treats are so easy to throw together when you are craving something comforting and sweet. They taste incredible with a slightly crunchy crust and a soft, warm center. 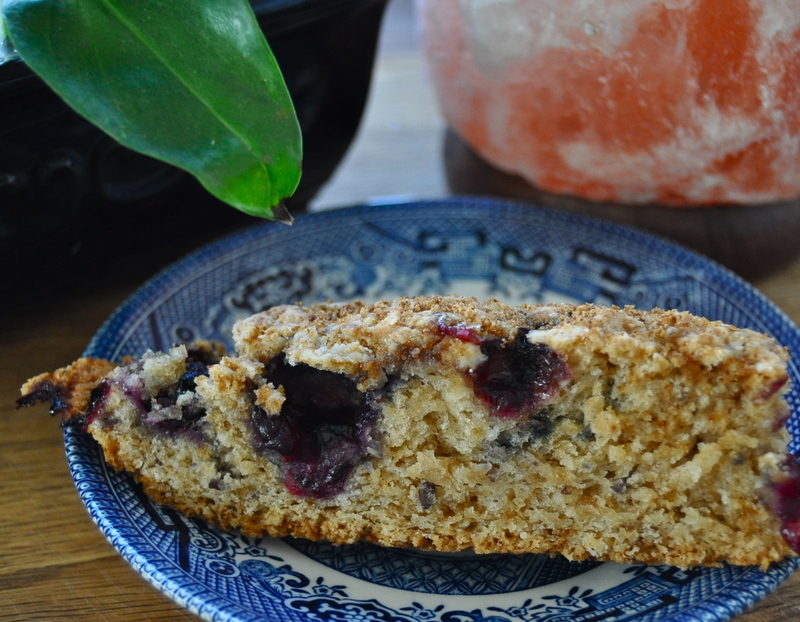 Yum, give your belly a nice big hug with these scones. 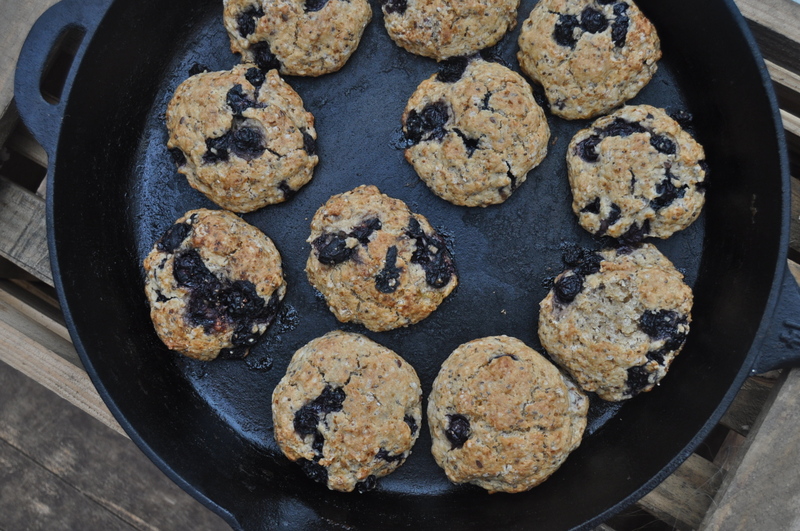 Like most of my baking, I make these on my large cast iron pan. If you don’t have one you can use a baking sheet, but keep your eyes peeled for cast iron. You can often pick up these pans very cheaply from flea markets, second hand shops, or garage sales. They create a nice crust on baked goods, nice sears on steak or veggies, and add trace amounts of iron back into your food. 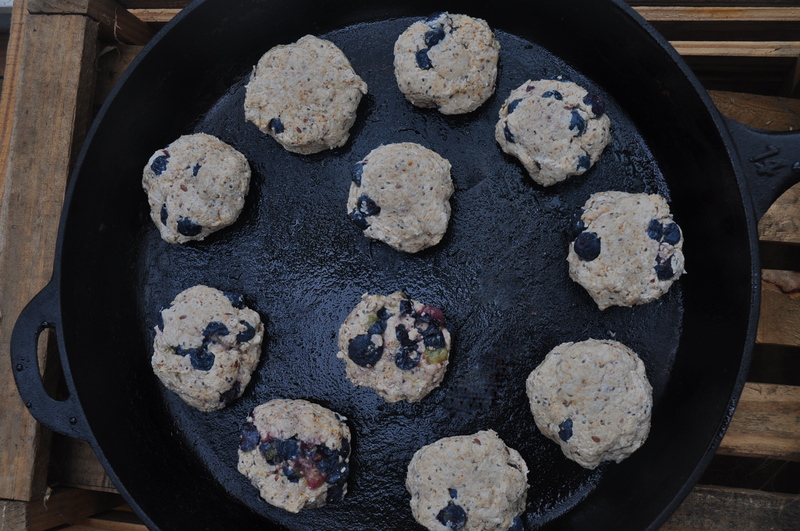 I ❤ my cast iron cookware and want you to experience the same! For the liquid part of this recipe I use coconut milk kefir, but realize not everyone makes their own. 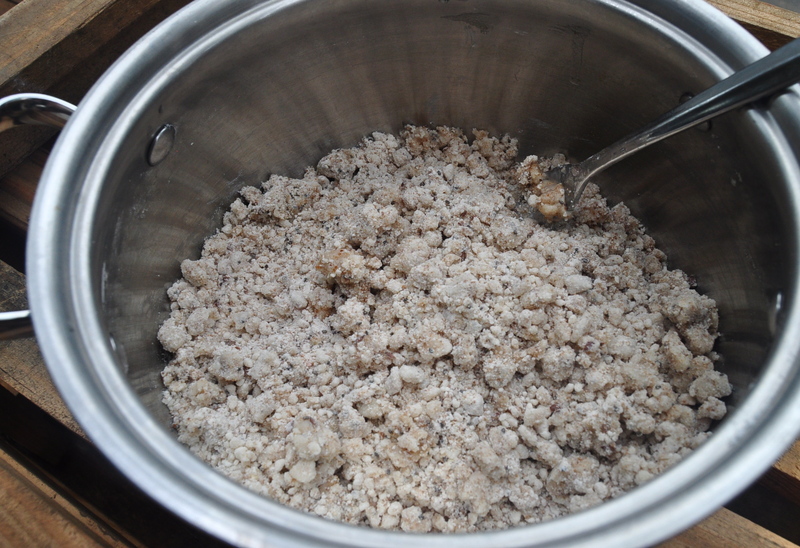 If you don’t make your own kefir (you should start ;), but in the meantime….) to keep this vegan, use store bought coconut or almond milk yogurt. You can also use regular (dairy) store bought kefir or all natural unsweetened yogurt. Failing these options you can use buttermilk, which is easily found at most grocery stores. Mix first six ingredients together in a mixing bowl. Add the coconut oil and use a pastry cutter (or a fork) to cut the oil into the dough, forming pea sized clumps of dough (see picture below). Do not over mix. Using a wooden spoon gently fold in your kefir, yogurt, or buttermilk and blueberries. Stir just until combined. Do not over mix. Divide the dough into 10 equal pieces and use your hand to shape them into flattened balls. Press them together as you want them to be quite dense. You may also cut them into triangles, however I find they bake more evenly in the disk shape. Experiment with what you like. Mix until well combined. Spoon over your scones. If the scones are warm, the glaze melts into them which I love. If you have leftovers (yeah right 😉 ) and frost the scones when they are cold the glaze will remain more solidified. 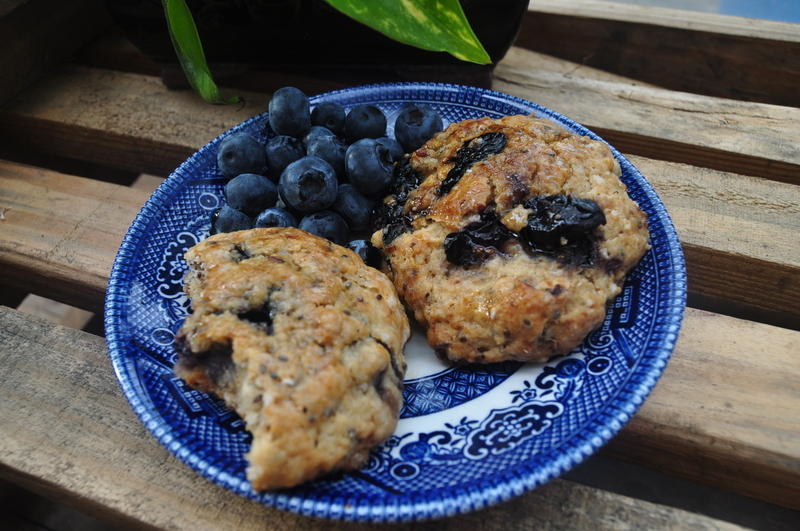 This entry was posted in dessert, snack, vegan, vegetarian and tagged baking, blueberries, cultured, dairy free, fermented, gluten free, healthy, kefir, nut free, recipe, scone, vegan. Bookmark the permalink. I’ve never tried making scones! I’ll have to give it a shot.